Home » Daily Life » Happy Thanksgiving!!! 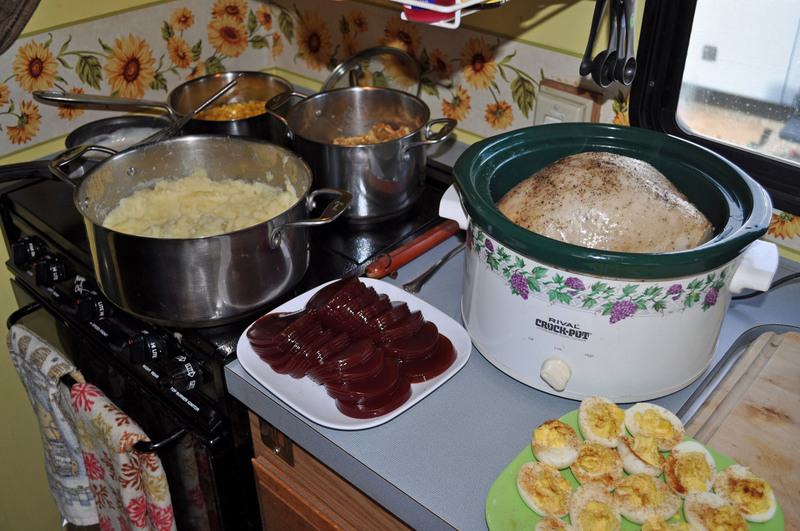 This entry was posted in Daily Life, RV Life, Travel and tagged RV life, Thanksgiving. Bookmark the permalink. The crock pot cooked up an amazing turkey! I was surprised and we will probably do it again next year since it saved so much space!